I've always loved Bananas and they are in the news today as to how they are good at preventing strokes and lowering blood pressure, below are a few more facts about bananas. As you can see the humble banana is a fantastic superfood. OK compared to other fruits it contains more calories, but it is filling and makes an ideal snack to replenish energy and stave off hunger. Bananas contain a prebiotic called fructooligosaccharide (FOS). Prebiotics are natural substances found in many fruits and vegetables that nourish the good bacteria in the colon. FOS serves an important role because the good bacteria, such as Bifidobacterium bifidum and Lactobacillus acidophilus, help to strengthen the immune system, inhibit the growth of bad bacteria, increase the absorption of minerals such as calcium, and are being studied for a potential role in preventing some types of cancer. Banana fruit is one of the high calorie tropical fruits. 100 g of fruit provides 90 calories. Besides, it contains good amounts of health benefiting anti-oxidants, minerals, and vitamins. 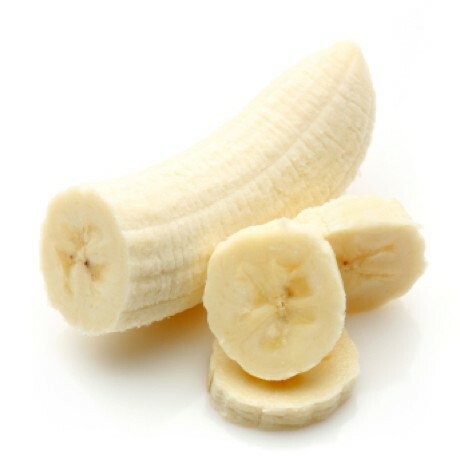 Banana pulp is composed of soft, easily digestible flesh with simple sugars like fructose and sucrose that when eaten replenishes energy and revitalizes the body instantly; thus, for these qualities, bananas are being used by athletes to get instant energy and as supplement food in the treatment plan for underweight children. The fruit contains a good amount of soluble dietary fiber (7% of DRA per 100 g) that helps normal bowel movements; thereby reducing constipation problems. It contains health promoting flavonoid poly-phenolic antioxidants such as lutein, zea-xanthin, ß and α-carotenes in small amounts. These compounds help act as protective scavengers against oxygen-derived free radicals and reactive oxygen species (ROS) that play a role in aging and various disease processes. It is also a very good source of vitamin-B6 (pyridoxine), provides about 28% of daily-recommended allowance. Pyridoxine is an important B-complex vitamin that has a beneficial role for the treatment of neuritis, and anemia. Further, it helps decrease homocystine (one of the causative factors in coronary artery disease (CHD) and stroke episodes) levels within the body. The fruit is an also moderate source of vitamin-C (about 8.7 mg per 100g). Consumption of foods rich in vitamin-C helps the body develop resistance against infectious agents and scavenge harmful oxygen-free radicals. Fresh bananas provide adequate levels of minerals like copper, magnesium, and manganese. Magnesium is essential for bone strengthening and has a cardiac-protective role as well. Manganese is used by the body as a co-factor for the antioxidant enzyme, superoxide dismutase. Copper is required in the production of red blood cells. Fresh banana is a very rich source of potassium. 100 g fruit provides 358 mg potassium. Potassium is an important component of cell and body fluids that helps control heart rate and blood pressure, countering bad effects of sodium. Eating more bananas – and cutting down on crisps – could prevent thousands of stroke deaths, say researchers. The potassium-rich fruit helps drive down blood pressure levels, as does lowering your salt consumption in snacks like crisps. A study found people with a high potassium intake had 24 per cent less risk of stroke. Previous data suggested older people could be harmed by potassium as their kidneys may be less able to remove it from their blood. But the research, on journal website bmj.com, said these fears can be dismissed. It found potassium did not negatively affect kidney function. The authors said there was ‘high quality evidence’ that people with high blood pressure improved when they increased their potassium intake. They analysed 128,000 people over 33 trials and said consuming more of the mineral, for example by eating bananas, is ‘potentially beneficial to most people’. Bananas are one of the most common foods to be rich in potassium. Each one contains around 420mg, well on the way to the daily adult allowance of 3,500mg. There are around 53,000 deaths in the UK each year from stroke, with a further 100,000 survivors, some left with severe disability. Another study on the website found slightly reducing salt intake for four weeks or more led to a significant fall in blood pressure – and so reduced risk of stroke and heart attack. Dr Clare Walton of the Stroke Association said a healthy diet was a key part of managing stroke risk. She said: ‘High blood pressure is the single biggest risk factor for stroke. Making changes to your diet can go a long way to keeping blood pressure under control. The Department of Health advises older people should not take potassium supplements unless advised by a doctor.